Redeemed by God, the Dutchman became a daring messenger of hope, smuggling Scripture through closed borders and equipping persecuted Christians behind the Iron Curtain. Today Brother Andrew and the ministry of Open Doors continue to shine the light of Christ in the world's darkest places. Brother Andrew by Janet & Geoff Benge was published by Frontline Communications in February 2007 and is our 21287th best seller. 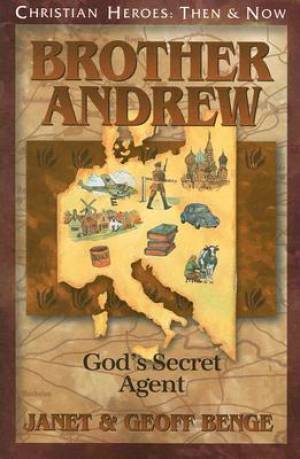 The ISBN for Brother Andrew is 9781576583555. Be the first to review Brother Andrew ! Got a question? No problem! Just click here to ask us about Brother Andrew .